A wide variety of reference pressure sensors, offering various measuring ranges of up to 6,000 bar (75,000 psi), are available to the operator, always ensuring a solution matched to the application. The individual sensors can be exchanged quickly and without tools (plug-and-play) and are automatically recognised by the digital indicator. Also, as an option, very accurate temperature measurement with a Pt100 temperature probe is possible. In addition, this instrument features a large, easily-read display with backlighting (on/off selectable), a durable case and simple, clear operation. In addition to mobile and high-precision pressure and temperature measurement, the CPH6400 also opens up other helpful applications e.g. recording of pressure and temperature curves (via the logger function), leak testing (via the pressure rate function) and peak value determination (via the Min./Max. function). The WIKA-Cal calibration software is available both for reading the logger data stored in the CPH6400 as well as for online calibrations in connection with a PC. 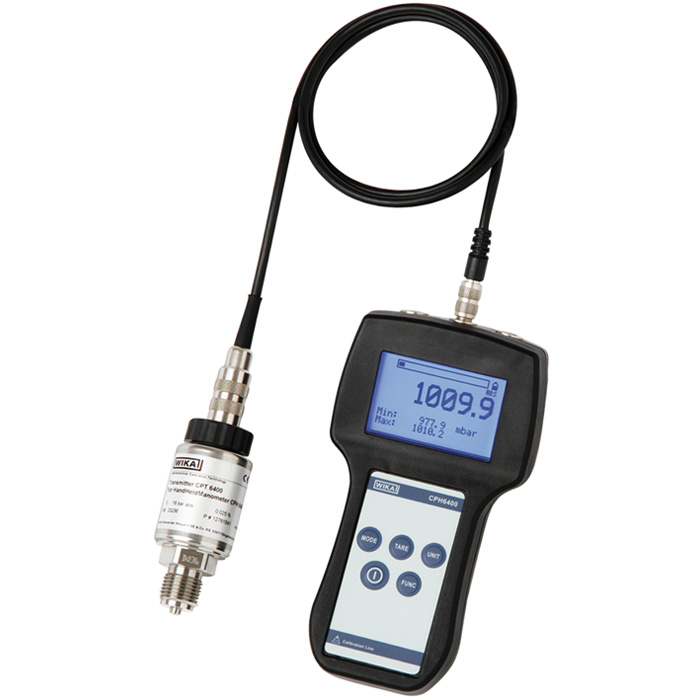 Using this software, the calibration data is automatically transferred into a printable calibration certificate. Furthermore, WIKA-Cal also offers, over and above PC-supported calibration, the management of the calibration and instrument data in an SQL database.